Dry roast grated coconut little bit. Grind all above ingredients to make smooth paste by adding little water. Heat 1 tsp oil in a pan and roast all above ingredients separately. Grind all roasted ingredients to make fine masala powder. Add 1/4 tsp turmeric powder, 1/2 tsp nutmeg powder and 1/2 tsp paprika to it. Mix well and malvani masala is ready. Add above ingredients to chicken pieces and mix well. Let chicken marinate for 30-40 minutes in a refrigerator. Heat oil in a pan. Add chopped onion and saute till it becomes translucent. Add pinch of asafoetida. Now, add marinated chicken and salt to taste. Cover the pan and let it cook for 6-8 minutes. Keep stirring in between. Now add coconut-onion paste and mix well. Let it cook for 4-5 minutes. Then add 2 cups of hot water. When curry comes to boil, reduce the heat and let it simmer on low heat for about 8-10 minutes. Serve hot with Malvani vade, chapati or plain rice. Grind soaked urad dal to make a smooth paste by adding very little water. Take rice flour and besan in a mixing bowl. Add coriander powder, cumin powder, red chili powder, coriander powder, turmeric powder, carom seeds and salt to taste. Heat 2 tsp oil in a pan and add in to mixture. Mix well and remove all lumps. Now, add ground urad dal to it and start kneading the dough. Dough should be pretty stiff. Apply few drops of oil and let the dough rest for half hour. Take a medium sized ball and press it evenly by fingers. Use few drops of oil and spread it in a circular shape. Deep fry them and serve hot with Malvani Chicken Curry. The combo looks so very Yummm!!! very inviting and spicy curry !! 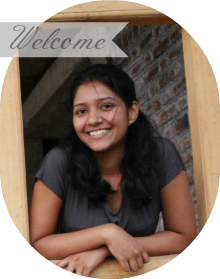 Thanks for visiting my site, Poonam:) There's just something about malvani recipes that draws me close to them. And This preparation has to go into my personal Chicken cookbook! The Kombi Vadi looks too good dear, new to me.. 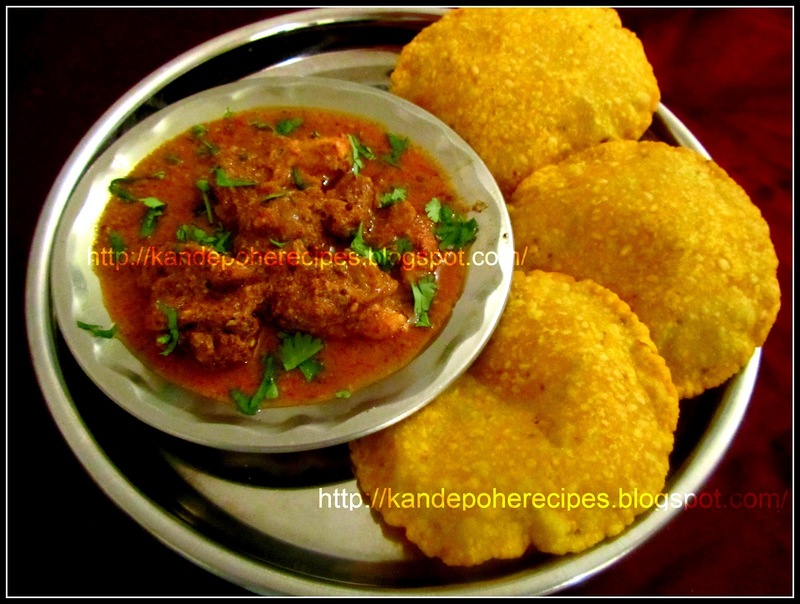 Awesome recipe.Yummy Chicken gravy with Vade Dear. You have made my mouth water so much by the excellent way you have presented this recipe (my favourite chicken dish too) that whenever we meet you must prepare your delicious Malvani Chicken Curry and Kombdi Vade for me to relish. Thanks all for such a lovely words!! Thanks for this lovely regional specialty. I have never tried the vade curry combo and it looks and sounds fab. Very nice pics too.